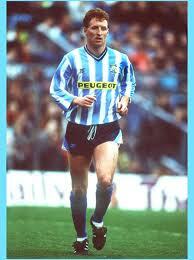 It wasn't solely Keith Houchen who excelled in cup competitions during his time in sky blue. 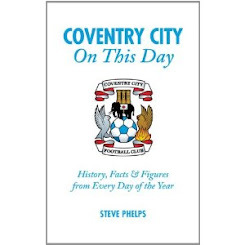 While Houchen shone in the FA Cup a City youngster came through the ranks to leave his own legacy in the League Cup and so nearly take City back to Wembley in 1990. 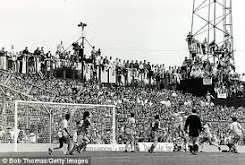 Having introduced himself to supporters with his FA Youth Cup final winning goal days prior to the cup win, Middlesbrough-born Steve Livingstone stepped up to the first-team squad and wrote his name into the history books. 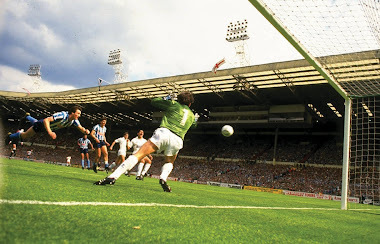 With fierce competition for a striking berth following the Wembley triumph, Big Cyrille, David Speedie, Houchen, Gary Bannister and Kevin Drinkell provided the barrier to first-team opportunities which reflected in his league appearances. When ‘Livvo’ opened his account for the club he didn't stop there as Sunderland left Highfield Road on the receiving end of a 5-0 scoreline. 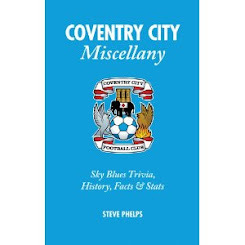 John Sillett's men went through to the semi-finals after the last four goal haul by a Coventry player in an FA or League Cup fixture, 22 years ago. As you can see from the clip below Livingstone was a powerful centre-forward who combined well in harness with Big Cyrille. Of his 15 goals for City, ten came in the League Cup including two in the 5-4 epic against Forest, as he made 42 appearances in total before big spending Blackburn Rovers signed him along with fellow youth cup winner Tony Dobson. 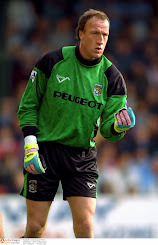 Further moves to Chelsea and Grimsby saw him end his career with ten seasons in Cleethorpes leading the line along with Dion Dublin-style cameos in defence. The Richard Keogh-gate drama was finally sorted this week, not to Bristol City or Cardiff City, surprisingly to Derby County who have installed him as team captain. Taking the unprecedented step of releasing a statement on the club website Keogh explained his reasons for leaving. 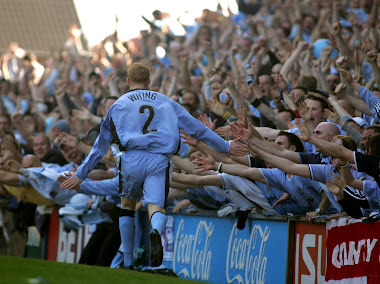 For a man who always gave his best in a City shirt he'll be guaranteed the kind of ovation afforded him when he left the pitch as a City player for the final time following his red card against Doncaster. 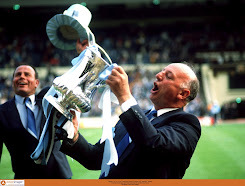 As he departed summer signings six and seven arrived in the form of Derby striker Callum Ball on a season-long loan along with Manchester United defender Reece Brown, brother of Wes. With just over three weeks until the trek to Yeovil its seven more signings than I thought we’d make this close season with more rumoured to be on the way. I'm optimistic, it could be the start of something good at long last.